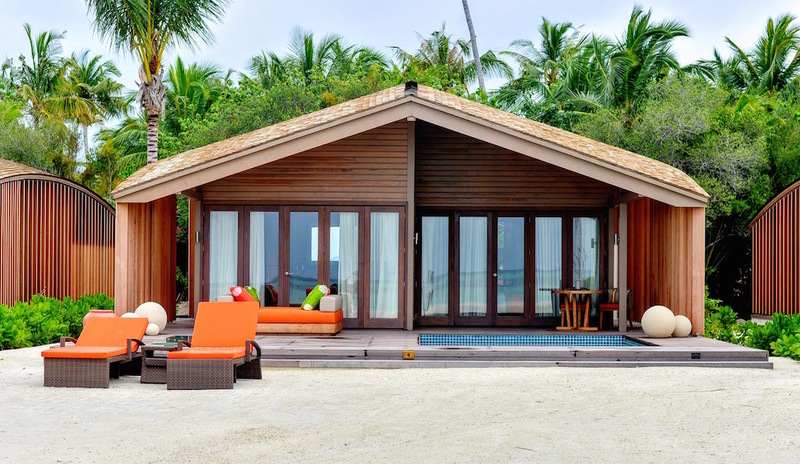 The new property of Club Med, The Finolhu Villas on the island of Gasfinolhu Island, is scheduled to open early next year. The eco-nature adult oriented villas are believed to be the chain’s most high-end and is the first 100 percent solar-powered luxury resort in the world. Finolhu in local language (Dhivehi) means sandbank with its sparse vegetation probably is the ideal island for a solar power pilot project. Gasfinolhu Island, is approximately 40 minutes from Malé the capital and 5 minutes by boat from the Club Med Kani, offering the perfect balance between modern luxury and the natural beauty of the Maldives. 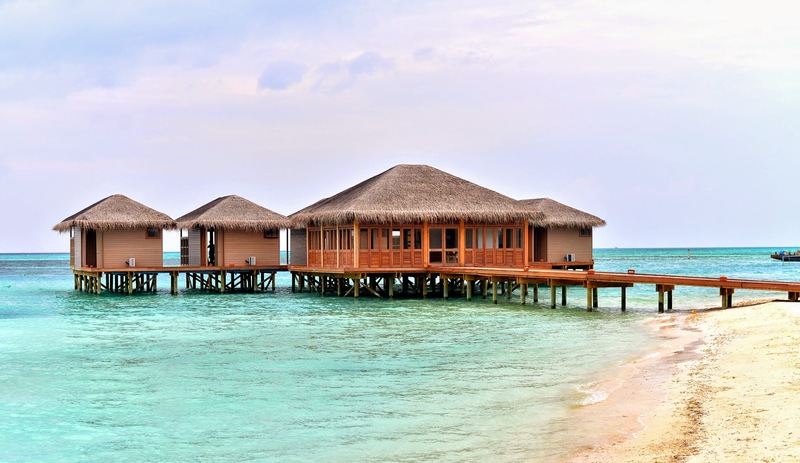 Unlike any other resort in the Maldives once you arrive in Gasfinolhu, what you see is the solar panels shading the long jetty onto the island. Solar panels cover the roofs of all the utility buildings on the island. The resort’s power system is entirely automated, with computers programmed to switch between direct solar power, battery power, or diesel generators, if required. An extensive battery storage system powers the resort throughout the night with the excess power generated during the day. The island has a powerhouse of three diesel generators as a contingency in case there are successive days of rain and the batteries run out. The 6500 square meters of solar panels are capable of producing 1100 Kilowatts at power peak. The island at full occupancy only requires 600 Kilowatts at peak load. Living up to the eco-friendly name, Gasfinolhu relies on a centralised chiller system that uses chilled water for air-conditioning and to minimise beach erosion the island’s harbor is built close to the reef’s edge, allowing uninterrupted sand movement in the lagoon with the two annual monsoons of the Maldives. A zero waste management system will also be installed on the island in the future. Afeef also said that Gasfinolhu will recover the US$8 million spent on the solar system within six to seven years. 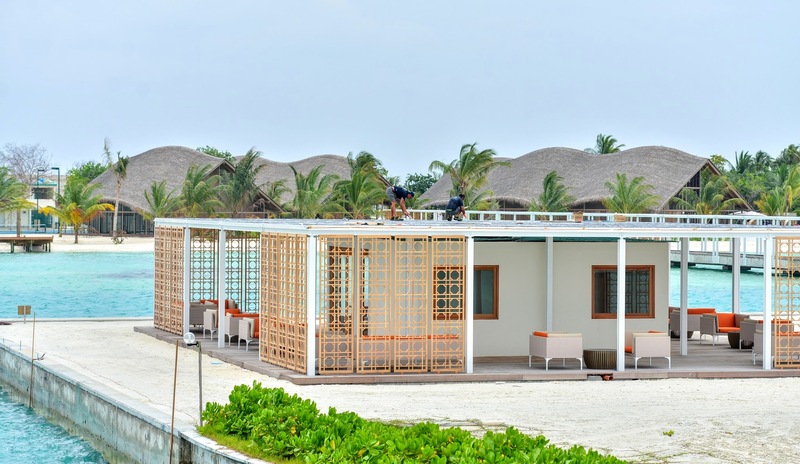 Without solar power Gasfinolhu would spend over US$1.5 million for fuel to power its 22 rooms on the beach front and 30 water bungalows. A typical resort with 200 or 300 beds would spend over US$4million fuel a year, he added. Club Med Finolhu Villas is developed by Global Pvt Ltd.